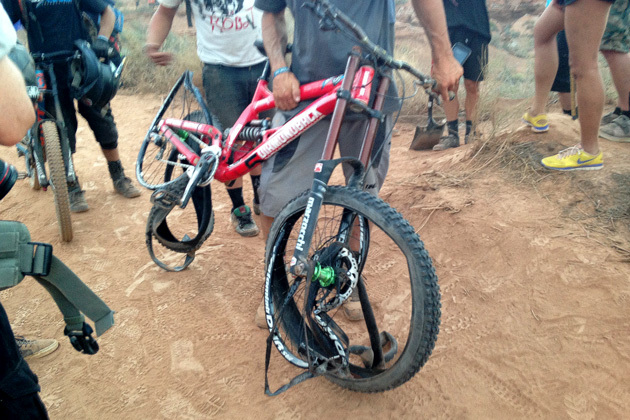 Red Bull Rampage isn’t all glamor and fame, as Kelly McGarry can attest. Here’s Kelly McGarry’s first attempt at the 73-foot canyon gap this year. It takes balls of steel to get up and try it again, and it’s something else entirely to throw a backflip in the finals (he crashed on that attempt too).